Euro is trying to start a new ascending movement. AT the moment, the market is being corrected, but may continue moving upwards in the nearest future. The target for the bulls is still in the area formed by two fibo-levels, 123.6%, and 38.2%. 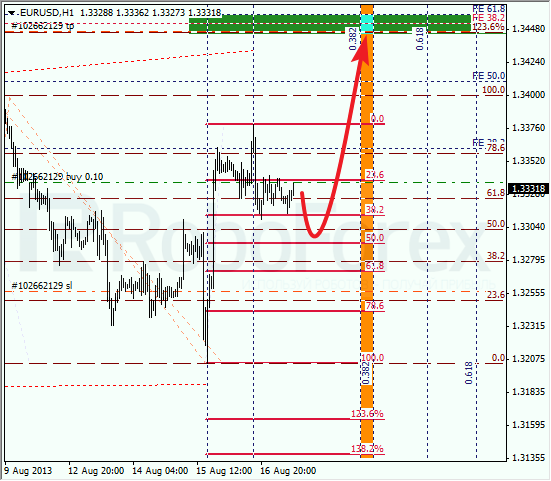 At the H1 chart, the pair is also being corrected. We can’t exclude a possibility that the bulls may reach the level of 50% quite soon. 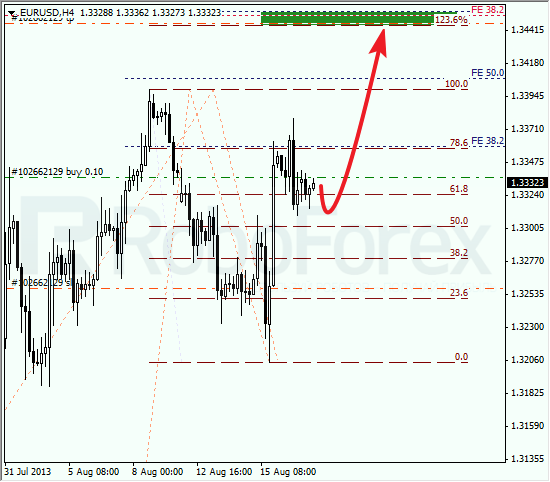 If the price rebounds form it, the pair will start a new ascending movement towards the target area. Last Friday the price reached the level of 78.6%. However, there is a possibility that the pair may try to test this level once again. If the pair rebounds from it, I’ll try to open a buy order and enter the market a bit above the latest maximum. As we can see at the H1 chart, a local correction is taking place. According to the analysis of the temporary fibo-zones, the price may reach the level of 78.6% again by Tuesday. If the price breaks this level, the market will fall down much deeper.